To say “A Good Day to Die Hard” is a disappointment is an understatement. 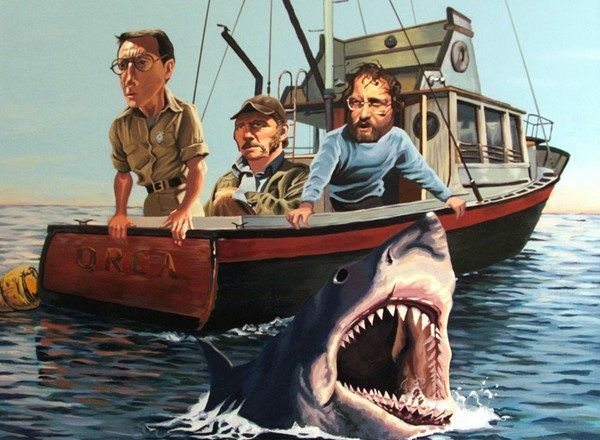 Many people may have had low expectations for the film. There were a large number of fans who rejected the last film “Live Free or Die Hard” as not being a true “Die Hard” experience, so they had no hope for this to begin with. 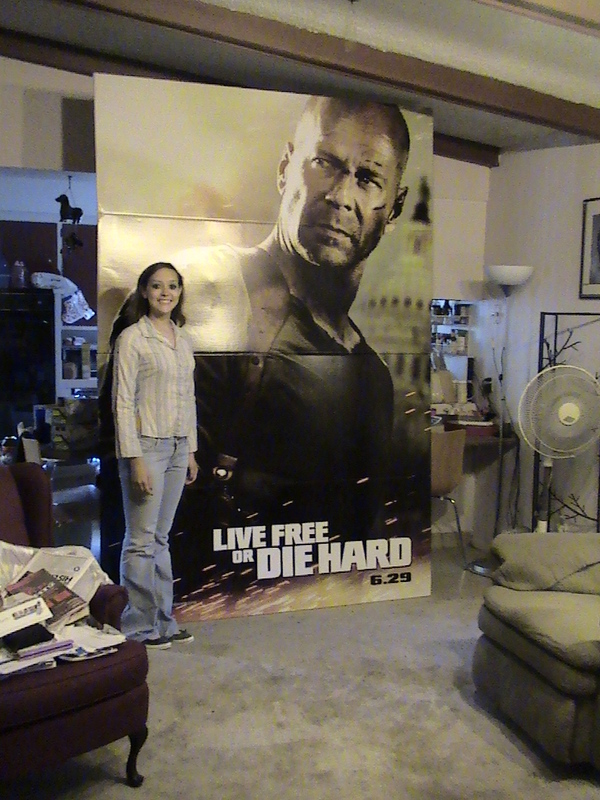 At our house however, John McClane is an icon, and we all enjoyed the hell out of the 2007 entry. If I can find the photo of the standup that we have, I will post it later (see below). There may have been some flaws in the last film but they were inconsequential from our point of view. From the first strains of Beethoven’s Ninth Symphony in the trailer, we were anticipating and excited that a new film featuring one of our favorite characters was coming. Ten minutes into the new film I started to worry and half an hour in, I knew it was pretty much a lost cause. This movie is flaccid, confusing, and put together in a way that shows a severe weakness in story telling and an utter disregard for the things that make McClane a great character. This is a generic spy film, masquerading as “Die Hard”. There is ultimately a heist element to it, but by the time you get to it, there is very little left that is interesting. We all want plenty of action in a film like this, but it has to be connected to the story and character to pull us in. There is very little set up to this movie, and the events that start the first action sequence are confusing. Within a short period of time we are plunged into an elaborate chase where people we don’t know, are chasing people we don’t know and are being followed by a character we should know but who gets behind the wheel for reasons we can’t know. Yeah, that’s the way it feels. The car chase has three vehicles chasing each other, in circumstances that are not always clear. There is a communication between McClane Junior and his C.I.A. handlers, that features a drone over Moscow, and there is some kind of time window that they are up against. There is no explanation of what the time window means, what the objective is for the lead vehicle, and the mayhem that ensues is simply random. Here is one of the ways the film fails to be “Die Hard”: there are quips but they are disconnected from character. McClaine makes apologies to invisible drivers in anonymous cars for no reason at all. None of the quips are funny and they don’t have the edge that characterizes our NYPD Lieutenant. As we spoke of it last night, there is a pretty obvious reason the film fails. There is a severe lack of a demonstrably intelligent and evil villain. Alan Rickman, Jeremy Irons, Timothy Oliphant are each solid actors that can convey smarts with a word, a look or inflection. Even William Sadler’s Col. Stuart had personality and confidence. Here we have two competing villains from the beginning, neither of which gives us much of an impression of themselves. One of them is supposed to be brilliant, we know this because he plays Chess against himself. That’s it for character development. There is a snotty henchman that kills randomly, including his own men, but can’t be bothered to shoot our heroes at much more provocation than he gets in the rest of the movie. All of the other “Die Hards” feature exchanges between the bad guys and our hero. That’s where John gets to smirk, insult and generally push their buttons to the boiling point. There is no boiling point here. Everything is hot from the beginning and one hot item is replaced with another when it is convenient for the plot despite being unbelievable for the characters. The plot turns are so obvious and dull that it would surprise me if anyone could be bothered to explain why any of it happens. The third and fourth films in the series, added side kick characters so that McClane could bounce off of them and they would provide some relief from all of his deliberate actions. They provide a little spark to the film. 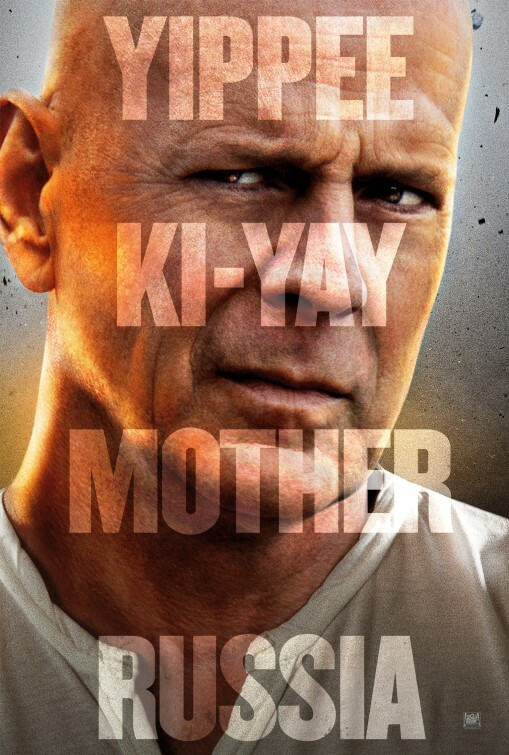 McClane’s son is supposed to provide that here, but his character barely has anything to say and when he does say it, it is muttered under his breath. Samuel Jackson’s colorful vulgarities and race baiting and Justin Long’s hipster geek irony were fun. Jai Courtney as Jack, has little chance to match insults or vent with his dad. He mostly glowers for reasons that we are supposed to understand without being told. His role in the spy plot is partially hinted at but vanishes in an instant and we are left with a chase film where we don’t understand who is chasing who. The whole movie consists of shootouts and jumping. Jack shoots and jumps but does not seem to think or analyze. John McClane apparently has second sight, because he gets suspicious twice of characters that we have barely met when they turn around on the heroes. There was one point a third of the way through the movie that gave me a brief moments hope. The henchman character thinks he is insulting the two Americans when he says, “it’s not 1986 and Reagan isn’t President.” Here is a chance for some sparkling cowboy swagger to go with our long awaited Yippee Ki Yea, instead there is just some laughter used to cover an escape attempt. Nothing creative or connected to what the other characters are doing or saying. Where is John McClane? Look Bruce Willis can still sell a movie but he has to have more than his looks to do so. The stunts, shootouts, chases in this are all so by the numbers that, you can count the moments till the next one, in your head. We went to an advance 10:00 pm screening and were the only people in the theater. Somewhere some one smelled this coming. We would not have listened, but that doesn’t mean that we should not have. They can't keep climbing down the ladder for directors and scripts. I think they will be done, but nothing surprises when money is on the table.